The Rev. 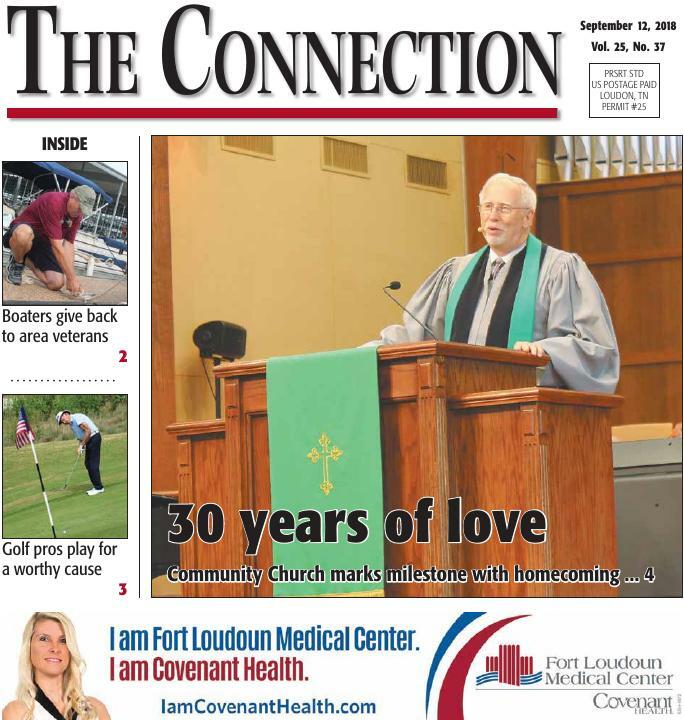 Marty Singley, former pastor of the Community Church at Tellico Village, delivers a message about love during the church’s 30th anniversary homecoming celebration. John Lacko, left, and Edmund Smith tie up a boat for BoatRides4Vets on Saturday at WindRiver marina. Toqua golf professional Jeff Harrington makes a putt Thursday during the Folds of Honor Golf Pro Exhibition at Toqua Golf Course.